Kessie is strong front running dog. She has a strong bird desire and wonderful personality. 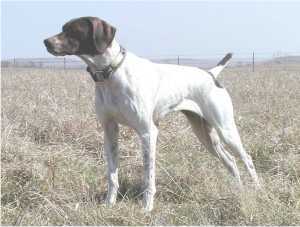 She has placed in all three national events, (GSPCA AA, NGSPA SD, and both NGPDA SD and AA). 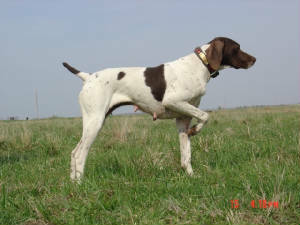 She is a direct daughter to hall of fame, NFC/NC/FC/CH Heide's Mighty City Slicker her dam is Clown's Little Hustler. Kessie has been trained and campaigned by Keith and Robbi Gulledge at Blue Dawn Kennel. Thank you both for the time and success. Kessie was bred to FC H's Hedge Rise Ignited and has ONLY one male pup available out of her very last litter! Check out puppy page for details.